Atlantis - a sunken world that has always been shrouded in mystery. People have been fascinated by Atlantis for thousands of years. Leave your ordinary life behind and accompany Plato to this bewildering, beautiful sunken world. Bring three or more items in a formation to increase your score. You can use your score to purchase various aids in game. Always be attentive because it is possible to lose treasures, too. The higher your level, the harder the game becomes. But each solution will bring you a step further to solve the riddle of Atlantis. New players will be able to quickly understand the concept of game. The difficulty gets slowly harder, from level to level - and so your ambition to beat the game. 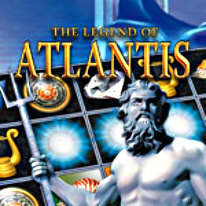 Hold your breath and experience the legend of Atlantis.